Dillinger’s face changes from snapshot to snapshot, mugshot to mugshot, photograph to photograph. His face never looks the same way twice. It almost seems as though he has the power to change his entire countenance, make some small lines near his mouth, his eyes, his nose, appear and then disappear. I knew a woman who had an original wanted poster of Dillinger framed and strategically placed on the wall facing her bed and she swore that every night when she started to undress Dillinger’s eyes were actually staring at her.. She claimed that once while she was propped up reading a murder mystery in bed she glanced over at the wanted poster and Dillinger actually winked at her. She was so unnerved that she slept that night with all the lights on. Once after giving a reading at Café Esperanto an old man came up to me and told a story about how he believed Dillinger had the power to shapeshift himself into something else. 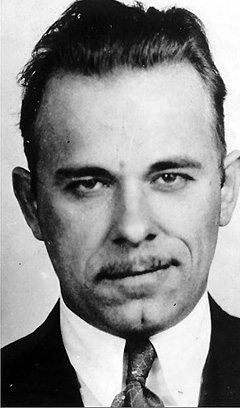 He said it was a trick Dillinger had learned after getting out of prison. 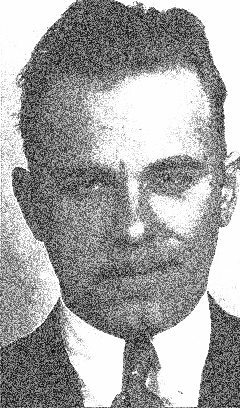 The old man said his brother had been a guard at Crown Point and that he was one of the men Dillinger had rounded up during the escape. He claimed that Dillinger had gotten all of his shape shifting powers from the wooden gun and that he had actually walked right through a steel barred door just by raking that wooden gun barrel across it. It was the old man’s theory that Dillinger wanted to make a grand exit with a machine gun instead of just walking through walls. He smiled and said Dillinger knew it would make him a star. Dillinger’s escape from Crown Point is the equivalent of Captain Ahab putting a harpoon in the white whale’s side. 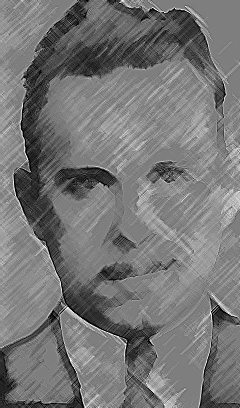 Dillinger robbing a bank is the equivalent of Judge Holden taking a scalp. Dillinger driving from Chicago to Tucson in the dead of winter in 1934 is On The Road twenty years before ON THE ROAD was written. Dillinger getting shot to death just steps away from the Biograph Theater is pure Outlaw Theater. It instantaneously elevated him to the status of american myth. He obviously didn’t plan for things to happen that way, but if he had, I think he would have fallen in love with the symmetry, the pure mythology of it. And, no matter what you do, you can’t kill a myth. You can try to deconstruct it but somehow that kind of story just seems to put itself right back together again. Only this time it’s stronger and more potent than before. The minute I started to write The Name Is Dillinger I knew what I had. I had Faulkner’s bear, I had Hemingway’s marlin, I had de Angulo’s coyote, I had London’s wolf, I had the treasure and the blood of the word. It was like finding a roll of hundred dollar bills all balled up with a rubber band and thrown into the weeds. Something does a little jump in the stomach. You don’t really know how much you have or how important it is but you know it is something huge, it’s e equals mc squared, it’s the knowledge that that something is a whole lot more than you ever had in your entire life. Or, maybe ever will have. I wasn’t even a hundred lines into that Dillinger section yet I was so excited and furious with the desire to do nothing but write write write that I couldn’t sleep for most of that week. The best night’s sleep was maybe three or four hours at a time but somehow that was enough. Because I was playing off something that was bigger than sleep. I was playing off some kind of dream energy that would not let me alone. That plus my own visceral energy that I couldn’t deny. This was enough and more than enough. Because The Name Is Dillinger had become my wooden gun and I knew I had broken through to something enormously magical, to some more intricate and risky level of writing than I had every known before. And, I also knew that writing for me would never be the same again. In THE HEDGEHOG AND THE FOX Isaiah Berlin carefully divided writers into two categories. The hedgehogs and the foxes. According to him and to the Greek philosopher Archilochus who originally came up with this idea, “The fox knows many things, but the hedgehog knows one big thing.” Berlin goes on to say that while it is easy to classify some writers such as Dostoevsky and Nietzsche as hedgehogs and Shakespeare and Joyce as foxes, the categories are largely superficial. Still, they grant you ways of looking you had not considered before. However, here in america it’s easier to see the hedgehog/fox pairing morph into the coyote and the wolf marriage. Not only does the coyote know many things, but he is also a trickster and has the ability to conjure and make wagers with the void. Nothing is mentioned either in any of Archilocus’s fragments or Berlin’s book about conjuring. Conjuring is about the shamanic, storytelling, mythmaking. Berlin is interested in the intellect, Tolstoy, philosophy, history. Both the coyote and the wolf represent prehistory, the primordial, the irrational, the night, and the void. The wolf is less known for conjuring but he does know the one big thing and his talent is shapeshifting. He has made a blood pact with flux, a détente with dreams, and soul stuff. The coyote’s supreme genius is that he can conjure the wolf and he does it so well even though sometimes the wolf will eat him. The wolf’s specialty is that he can shapeshift into the coyote effortlessly whenever he feels the need to play his other. When he does, the coyote steals his soul. The wolf is the master of ritual, chant, and mask. The coyote is a cowboy a grandstander and is unbelievably impatient, he craves instant gratification. The wolf is patient. He knows where the meat is, he knows he is going to get some, and he can wait. And because the coyote is so impatient he is incapable of making the one big thing because he can’t stand still long enough. His talent lies in the prank and the trick and he is a master of the small well made thing. The best literary example I know of is the poet Ed Dorn. 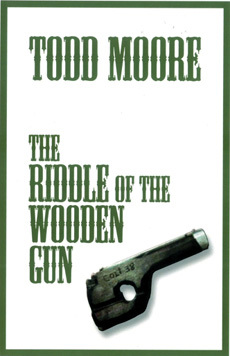 He was a coyote poet who created GUNSLINGER which is a mock epic of Billy the Kid, the comedic portrait of the old west gunslinger, a coyote’s anarchic laugh at the night. However, it takes a wolf to create a total epic like BLOOD MERIDIAN. It requires a wolf to learn the breath of the cosmos. It requires a wolf to enter the empire of blood. The problem, especially in poetry, is that there are many coyotes but very few wolves. Still, without the Ed Dorns there would be no Cormac McCarthys. The creation of an archetypal character means the automatic induction of the writer into the Society of the Wolf. Shakespeare is a shoo in because of Hamlet, Lear, Macbeth, and Falstaff. It doesn’t matter that Berlin thinks Shakespeare is a writer who knows many things. Shakespeare knows everything wolf. Goethe is a wolf because of Faust. Homer is a wolf because of Odysseus and Achilles. Fitzgerald is a wolf because of Gatsby. Bukowski is a wolf because of Chinaski. Wolves are marauders. They sack streets, cities, books, bars, and alphabets. Dickinson, Eliot, Crane, and Stevens were coyotes. Melville was most definitely a wolf. Whitman was a wolf who really wanted to be a coyote. Song of Myself is a wolf’s howl. Howl is Ginsberg’s blackest coyote laugh. Twain, armed with his outrageous humor, was often a coyote, but when it came to Huckleberry Finn, he was undoubtedly a wolf. Hemingway was a coyote who longed to be a wolf. 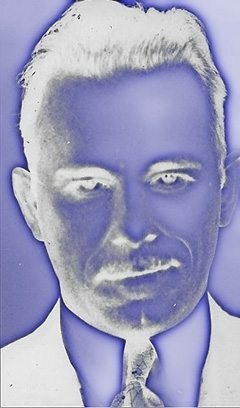 Faulkner was a chaotic wolf who probably dreamed of becoming both at the same time, his long version of everything and nothing. McCarthy is a wolf who dreams of eating the sun. He will eventually have to settle for what remains of the moon. Charles Olson got there first and left it half eaten, a coyote trick if there ever was one. Pound was that consummate wolf who ate himself right down to the bone. And, while Pound was editing Eliot’s ur version of THE WASTE LAND, he did the wolf like thing by chewing all the excess meat off THE WASTE LAND’s carcass. He literally devoured two thirds of the poem. For me, Dillinger was always a wolf who thought like a coyote but ate voraciously like the wolf of all wolves. He really did want it all. And, I think he got it. In fact, his nature drove him to make it an all or nothing venture. While he was robbing banks he was actually choking down big chunks of dream starved america whole and america loved it. The best part was america always wanted more of what Dillinger had to offer. When I began writing DILLINGER I realized that Dillinger was much larger than the canvas Dorn painted on. 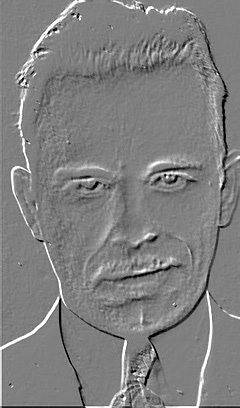 Dillinger would require something like a psychic I Max, a dream Jungian Cinema Scope screen stretched clear across the darkest of skies. Dillinger was not just the wolf, he was the super star wolf. And, that aspect of him has always appealed to me, teased me, witched me toward the poem of all poems. 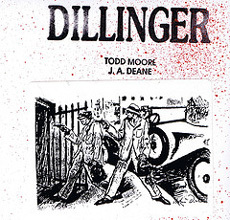 Because, once I started to work on DILLINGER, I realized I had to write the big thing, the total thing, the encyclopedic thing, the cinematic thing. Not just know it as Berlin’s hedgehog knows it, but do it the way the wolf does it, enact it, shapeshift through it, plunge into it, knowing that all these years I have been a dream participant in those bank robberies, as though I invented all of Dillinger’s dreams, as though I said everything he said and then I scripted everything I said and put it all together in one massive poem that threatens to eat itself and me with it. And, yet there are singular elements of coyote lodged in DILLINGER. Once I realized that I probably would never see all of this poem between covers, I knew I could try to get the sections published as discrete little books all by themselves. That is my wolf shapeshifting itself into a whole pack of coyotes. That is my wolf speaking in a whole universe of alien and unrelenting tongues. I can’t speak for the hedgehog and the fox. In some ways they seem to operate independently of each other. The hedgehog writer does not need the fox to make the big thing and the fox writer does not require the hedgehog to make the many and various things that it can. But, here the coyote and the wolf have a kind of symbiotic relationship. The coyote definitely needs to conjure the wolf and the wolf is driven to shapeshift itself into the coyote. In certain ways that cannot be rationally explained, both the coyote and the wolf preside over american literature, especially poetry. Sometimes one may have more power than the other. Yet, american poetry can’t function without them. While I write a shrivelled coyote face stares at me from a nail hook driven into a book shelf near my desk. The ears have curled and hardened into iron. The fur on the face itself is a mottled tan with black and some scattered white showing. The eyes are irregular savage slits, one is larger than the other. The fur lining both sides of the face is a soiled white. Just a small section of the black nose remains. The mouth has gone back to the void. I’m waiting for it to conjure something. todd moore’s essays just get better and better and klaus’ graphics just get better and better. here the language meets the graphics in a brilliant zone of charged energy, of amazing electricity. here the dream meets the visceral, the coyote meets the wolf. and the result is an amazing shapeshifting in both the language and the images of the face of dillinger.